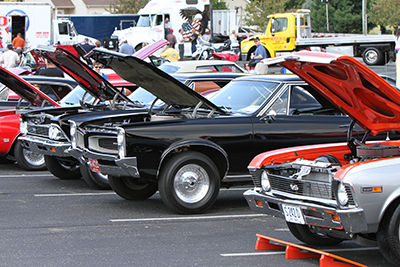 Hundreds of vehicles will converge on Stark State College for the annual Carnival of Wheels car show, happening Oct. 14 from 10 a.m. to 4 p.m.
Street rods, hot rods, customs, classics, race cars, tractors, trucks, motorcycles and more will be on display – last year more than 600 vehicles from 1904-2017 were shown. The family-friendly event also will include a silent auction, engine valve cover car racing for adults and Hot Wheels racing for kids. The entertainment also includes a live DJ, an awards show and games. Admission is free for spectators. The vehicle participation fee is $10 (dash plaques available for the first 450 registrants, as well as goody bags and door prizes). Ample free parking is available on paved lots. Proceeds primarily benefit the automotive technology scholarships at Stark State College. Learn more at cantoncarnivalofwheels.com. Stark State College’s welding students are training with advanced metals, helped along in part by a sizeable donation from United Titanium. 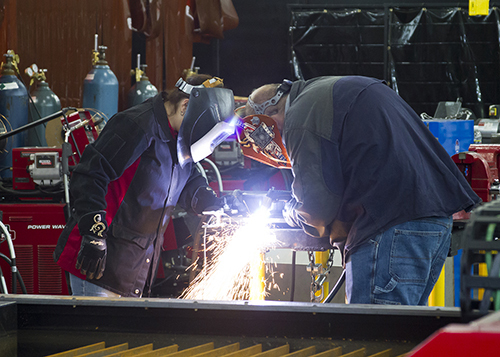 Plumbers, Pipefitters, Refrigeration and Service Techs Local Union 94 and Stark State College are new partners in a model of collaboration between higher education and the skilled trades.